Stereoscopic stochastic video installation (3 screens) in IMaGinING Antarctica'. John Curtin Gallery, Perth International Arts Festival, Western Australia, 2007. Curated by Ted Snell. Commissioned work, originally showing as 'Sensation of Ice' (Duration: 18:07) TMAG. 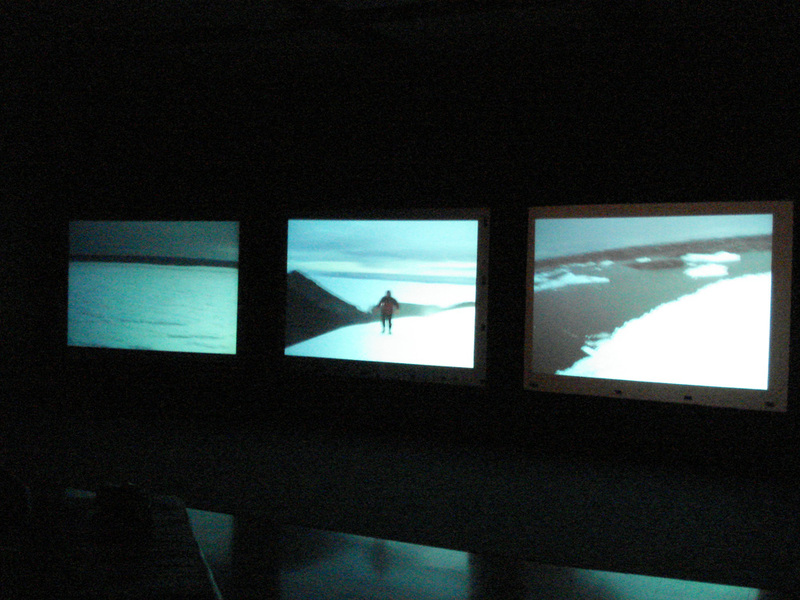 Single-channel stereoscopic HD video installation, 'Islands to Ice' permanent exhibition (2007-current), Tasmanian Museum and Art Gallery, Tasmania.